The good news is.......the good news keeps on coming! The Staff here at CHS54 Towers has decided for the time being, to keep on publishing "breaking news" at the top of this site. The "happy news" from our classmates will be added to the string already started. So don't forget to "scroll" down til you see the latest, fascinating stories from our classmates. 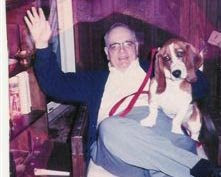 We were saddened to learn belatedly of the passing of Charles Douglas Presson on 1/1/08. He had been ill for several years and the cause of his death was pancreatic cancer. 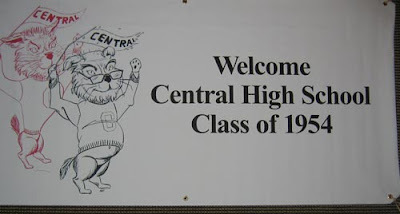 You've probably received by now, the official announcement of probably one of the worst kept secrets in all of CHS54dom: Our 55th reunion will be held this May. May 8 and 9th to be exact. The official party will be held Friday evening beginning at 6pm with a traditional BBQ dinner at what Obie says"...is a great indoor park facility complete with kitchen and plenty of room to move about and get re-acquainted with old friends and meet new ones." the Marriott Courtyard Hotel, which is in the SouthPark area about eight miles from Wm. 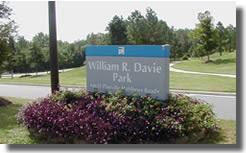 R. Davie Park. Be sure to mention CHS Class of 1954......AND the fact that you are a SENIOR CITIZEN (I hate that term, EXCEPT at cash registers!). The cost should be $88 per night. (Remember, it's Dutch Treat. You pay at the counter. Send your registration form in ASAP.......and help us with the planning. The big news is that our own Obie Oakley is to receive one of the nation's most prestigious military honors!! Our own Obie Oakley is soon to be honored with the Distinguished Civilian Service Medal, the highest civilian award given by the Department of The Army. The Secretary of the Army awards this decoration to those who provide distinguished service that makes a substantial contribution to the accomplishment of the Army's missions. I think this is a great idea to hear from different classmates and what is going on in their lives after so-oo-oo many years. I feel I have been so blessed and want to share part of my life after Central. I was married to Dave Kaleel for 25 years when he died with cancer. We traveled a lot showing quarter horses in open and registered shows. I later married Daniel Barrett in 1986. We continued with horses, but only pleasure trail riding. 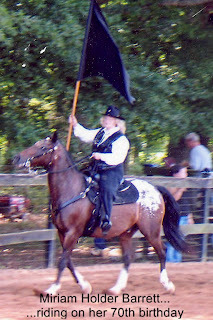 I started riding with a drill team which was something I always wanted to do. Below is a picture of me riding on my 70th birthday. (You are never too old to follow your dreams.) Daniel and I later got into heavy horses. We Now have a Percheron and a Belgian/Clydesdale cross draft horses. We purchased a wagonette and a Victorian carriage we use for weddings, festivals, and any special event that requires a horse drawn carriage. There is a lot of work involved with the horses, carriages and getting ready for each event. We meet a lot of wonderful people and enjoy driving the horses and making their special day special. I no longer ride with the drill team as there is a conflict with the horse drawn carriage events. The Lord has blessed us with gentle and beautiful horses which has enabled us to start our horse drawn carriage business at a late time in our lives. Check out our web page. www.thewhippoorwillranch.com. "... '54 classmates. Sorry I have missed the LDL luncheons. 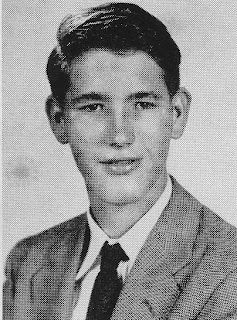 In 1953, when I was a tenth grader at Central, and not knowing what I would do in this world, my father, decided that I did not need to go to high school for three years, made me go to summer school and pick up the two extra credits that would allow me to graduate in 1954. 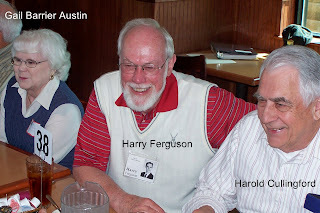 Thus for the ten years I was in the class of 1955, I did tend to have more allegiance to them. For that I apologize because I knew so many of you. Upon graduating, I still did not know what I was going to do, went to NC State, then to Douglas Aircraft Company in Santa Monica, Cal for three years, did not like engineering, lived on the California beach and had a great time, but then went into military service for just short of a couple of years, then went to law school at UNC where I found out I knew absolutely nothing. 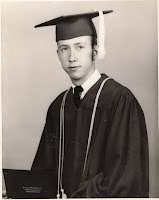 However, I managed to graduate and thoroughly enjoyed practicing law for 30 some years. I married just before law school, had two great kids, later divorced, but had close relationship with my two kids, She was very beneficial in keeping that relationship going. We are still on good terms. As to our kids, Shel and Randy, saw them thru college, one thru law school, married again (to Kate Widenhouse from Midland, NC) for 30 years until she passed away in 2005. That was a great loss to me. She had two kids, Trilby Carriker and brother Ronald Carriker, and they pretty much became mine as well. Ronnie and his wife, Rebecca, run my real estate business. They have two sons, Trent and Kipp. Just a couple months ago,Trent at 15 and in the 9th grade at Myers Park High School made the varsity soccer team, went to Raleigh and played in Myers Parks championship game this year. First State Championship for them ever. Shel married Stacy Evans from Oxford, NC. They have three boys, Shel Jr., Braxton, and Charlie. He has his own law firm of some 5 lawyers, practicing on East Boulevard, just a mile or so from where he and I both grew up. Randy married a doctor, Wanda, (He has one daughter, Abby) and he is in Property Management in Charlotte. Trilby is a CPA and is CFO of a major construction company in the southeast. She is also in Charlotte. I retired from practicing law about 15 years ago, doing mediation work for some 5 to 8 years. Worked part time for son, Shel, taking depositions. During this time, I also worked at my business in real estate, but primarily took up tennis at a late age. I still play some 4 to 5 days a week at Olde Providence Tennis Club. After Kate died, I went to grandson Shel's birthday, became involved with Stacy's mom, Annette Evans from Oxford, NC and we married a year later (see photo below). I like to joke that as I married my son's wife's mother, we had to go to West Virginia to get a marriage license. Annette's son, Mason just had his second girl. Except for Abby, heretofore, all we had was boys. The little girls are precious. 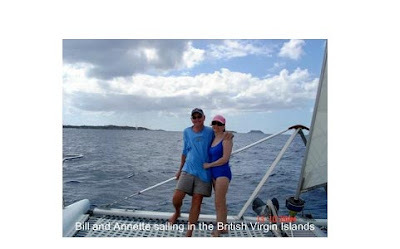 Also, below is a photo of Annette and Bill sailing while vacationing with 3 other couples in the British Virgin Islands in February this year. All in all, it really makes one feel good when you (me) have been so lucky to have had such a great life, having found another great wife, and have great kids and grandkids, all of whom are doing great in their own right. As I read these emails of others with their good news, I am just delighted that so many of our classmates of 54 and 55 have done so well and not only enjoyed life, but made major contributions to so many. 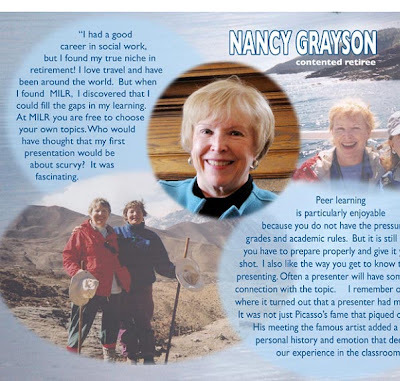 Nancy Grayson sends this response to "in search of good news". In Nancy's lovely photomontage, the reference to "MILR" is "McGill Institute of Learning in Retirement". (Thanks Nancy. This just proves my long held theory that the CHS 54 class had the most beautiful young girls in the country.....AND.......they grew up to be the most beautiful mature women in the U.S.
...sends this "blast from the past." "When I saw my senior picture and your comments I laughed out loud. Hope all is well. We are fine, "steaming as before." That is Navy talk, taken from the ship's log. I am maintaining my law practice, fighting the good fight against windmills wherever they rear their ugly heads. We are looking forward to the reunion. As far as good news is concerned, there is plenty from here. Becky and I are, as I said, "steaming as before." We have lived in the same house since 1972. This house is over 100 years old. It has served us well, allowing our children to walk to school during their grammar school years. I will try to find more information. What I can say is this: Its tax value has gone from less than $16,000.00 to more than $213,000.00. It is 1.2 miles from the house to the parking deck near my office. 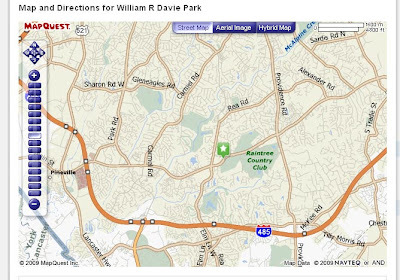 It is 9 miles to the indoor tennis court where I play every week. Can you top it? It is about 1.5 miles to the grocery store. It is 1 mile to the ABC store. Is there anything else you need to know? Life is good here at 1117 West Fourth Street. The State Department of Corrections has 40,000 souls on board with untold thousands in local jails. For us criminal defense lawyers, "steaming as before" is the order of the day. Hope all is well. I am going to try to find some artwork to attach to this message. I found something. 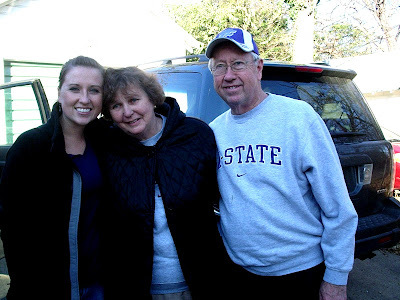 It is a photo of Becky (Lydia Rebecca Smit)and me with the president of the student body of Kansas State University, our granddaughter, Lydia Peele (named after Becky, a/k/a Lydia). This picture was taken last November in Manhattan, KS. Lydia is the first student in the history of Kansas State to serve as vice president and then as president of the student body. Good news? No kidding. I celebrated my 72nd birthday this week. I decided we are never too old to try something new. I decided to learn a couple of new dance steps....The "Tango" is the national dance of passion here in Argentina...I have attached a photo of one of my newly acquired steps....I have others, but I will have to share them at a later time....I have to go visit my chiropractor now. ready to accept whatever the news. 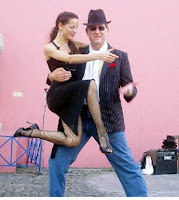 dance because I love it and I refuse to give in to this awful disease. I realize it will get me sooner or later but let's look to later. MY NEXT GOAL IS THE REUNION AND SEEING ALL OF YOU WONDERFUL GUYS!!!!!!! Again this month, 31 gathered for the sixth CHS'54 "LDL" (Let's Do Lunch). These lunches are being held on the second Tuesday of every month at "Jimmies Restaurant" in Mint Hill. We hope others will come when you can! 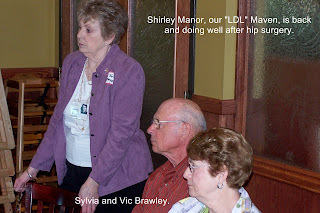 Our "LDL" maven, Shirley Maynor was BACK following hip surgery. We were pleased with the first-time participants Pooky Conder, Carole Bennett Gilland, and Harry Ferguson. 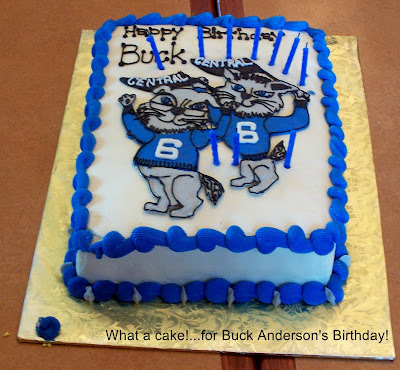 And, to top it off, Peggy and Buck Anderson again came "down" from Fletcher, NC, to celebrate Buck's birthday with us. Peggy also honored each of us with a gift loaves of home-made bread. Thanks you, Peggy and Buck! Mr. J. T. Conder, Jr.
Let's keep her in out thought and prayers! ...this portrait was taken Easter last year when I had my family together for the first time in many years. 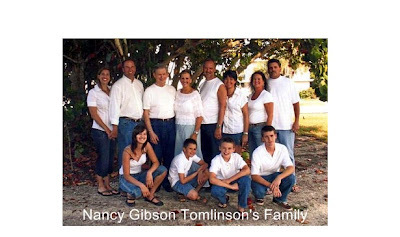 Two grandchildren are missing. Mark's girls could not make it. 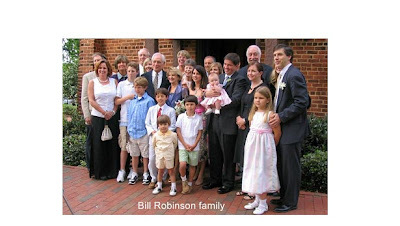 Mark, my youngest son and his lady Carolyn, are on the end; Howard and I are next; Robb, my oldest son and his wife Judith are next; Melanie, my daughter and her husband Kevin are on the right end. Keira and Airi are Robb and Judith's children on the left - Tanner and Wesley are right in front of their parents Melanie and Kevin. 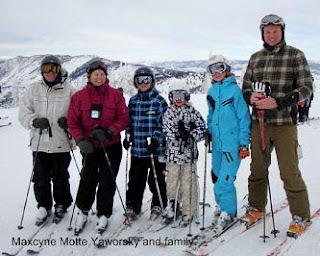 Robb (has dual citizenship - Judith is Swiss) and his family live in Switzerland where they have their own Montessori School for 1st - 12th grades. Mark lives in Charlotte and has his own Stone Construction Business. Melanie and Kevin live in Venice where she is a Realtor and Kevin has his own Stump Grinding Business. I will say take a good look at the 13 year old on the 1st row - she is my carbon copy at age 13 in size and put a picture of her beside me at that age and we look like identical twins. She is even as tall as I am now and can wear my clothes. They say that if you want something done, "...ask a busy man to do it." 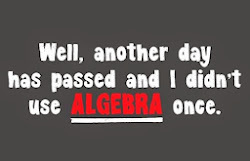 How true that is! With all our keeper of records has to do, Jerry Gaudet took on the extra task of gathering "good news" from our fellow '54 seniors. And what a great job he's doing.....with your help of course. The list is getting so long that starting today, I'll be posting the GOOD NEWS in the order of "latest first." So be sure to scroll down to read all of the good things that have been happening with our fellow Wildcats. 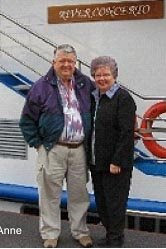 On 19 June 2009 Bertha and I will celebrate our fiftieth wedding anniversary. We lived in a small town, Drexal, NC, 1964-2002 where I practiced Family Medicine for 38 years. When I retired we moved to North Myrtle Beach. We live at Barefoot Resort which is on a developed community with 4 golf courses. You know we have many golf courses within 25 miles. I still work part-time in community health clinics. We have two children. Charlene, our older, is a college professor at University of Southern Connecticut in New Haven, CT. She has one child, girl age 10. Our son is the medical physicist for Pardee Hospital in Hendersonville. He lives in Asheville and has two children, Regan, age 12 and Noah, age 10. We are proud of all of them. We celebrated our 50th wedding anniversary on June 7th last year. We celebrated in April by taking a riverboat cruise from Amsterdam, Holland to Antwerp, Belgium. This is the height of the flower season. Never saw so many tulips in our lives! We have two children, John, Jr. and Virginia. John has two girls, Amanda and Chelsea. Virginia is not married. This is a photo that was taken next to our cruise boat that we took from Amsterdam to Antwerp, Belgium last April. We were celebrating our 50th anniversary early because we wanted to see the flowers in Holland. Our actual anniversary is June 7th. 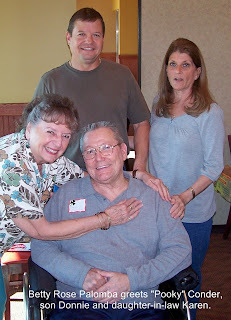 We have two adult children, John, Jr. (Laurie) and Virginia (Unmarried). John has two girls, Amanda, a Junior in college and Chelsea, a Junior in high school. All live near us in MN which is a blessing. Hope this reaches you OK. This is a picture of Jennie and Bill at the dedication of a Maryland Historical Monument to the Maryland member of the Lewis & Clark Expedition (1803-1806). Jennie and Bill drove the entire Lewis and Clark Trail a few years ago, and give presentations ("show and tell") to various groups about the Expedition. Jennie adds that they are "groupies" at some of the conferences and lectures related to Lewis & Clark. In addition, she says, "Bill's collection of books and models (that he has made) have turned our dining room into the Lewis & Clark library and "shrine." CHS'54, in search of good news...Great idea! 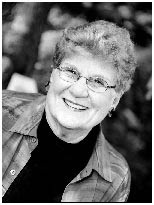 Chet and I have been married 50 years (June 4, 1958), have three children and six grandchildren. 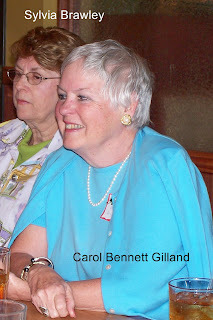 My sister, Doddie, class of 1956, and I had a double wedding. We were married at Hawthorne Lane Methodist Church. 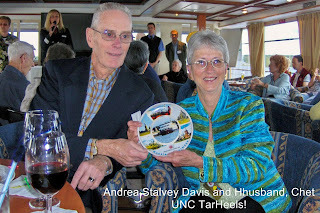 Andrea Stalvey Davis and husband ChetUNC TarHeels!